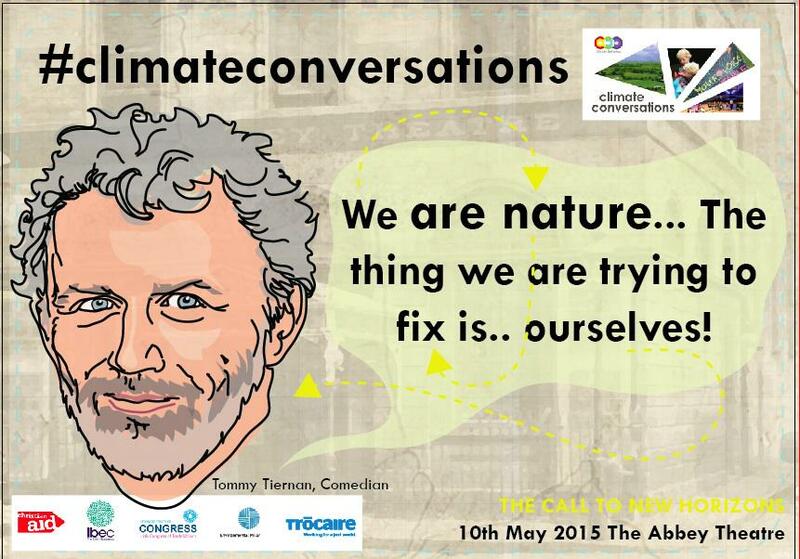 Changing our thinking to inform the crucial change in our behaviour has been at the heart of Climate Conversations. But we have a resistance to new ways of thinking, to discarding strongly-held beliefs. Throughout history, there have been countless viewpoints, perspectives, traditions and beliefs about the world and our place in it that have remained ingrained and unquestioned for centuries and millennia. Their persistence, however, doesn’t necessarily mean they are true, nor that they cannot – or should not – change when the reality presents itself. In The Myth of Sisyphus, Albert Camus wrote of being confronted with the absurd reality of one’s condition: “It awakens consciousness and provokes what follows… [either] the gradual return into the chain or… the definitive awakening.” So, what do we do when our mythologies, our old ways and assumptions about how to live in our world, are suddenly and undeniably upended? What follows? In a theatrical monologue, Paula Downey of CultureWork portrayed the behind-the-scenes discussions as the Climate Conversations partners – ICTU, IBEC, Trócaire, Christian Aid and the Environmental Pillar – struggled with that very question. As they tried to decide how to approach this final event, how best to “draw the threads together” and present one statement, one single vision to the audience at the Abbey, she asked if they perhaps they could instead present their uncertainty, their vulnerability. “Can we accept the work-in-nature of this?” she asked of the audience. Can we learn to live with uncertainty, contradiction and inconsistency, with the blurry, emergent nature of complexity and… accept that there are no easy answers? Maybe there are no answers at all. This acceptance of vulnerability and uncertainty struck a resonant chord with me. If you’ve read my posts on other topics here, you may have noticed that theme running through. It has characterised the past few years of my life. It was a paralysis of uncertainty at a point of crisis – the fear of failure or of not knowing how to act that led me to the brink of a breakdown. In many ways, I still have no less uncertainty or vulnerability now, but what has changed is how I think about it. In many of the contexts that I’ve explored in the last couple of years – counselling, changing career, art and creative writing, meditation and Buddhism – I keep encountering this same simple notion: that uncertainty is an inescapable reality, and that the trick is not to avoid it but to accept it and act in spite of it. It makes sense that this same idea would emerge from Climate Conversations. 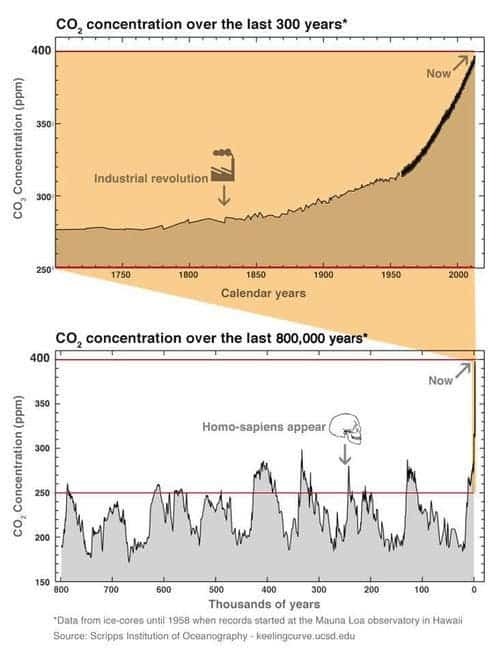 We do know that the climate is rapidly changing, and we do know that human activity is the chief cause. We can have some ideas of what the impacts might be. But beyond that, there is not much certainty. As a species, we are entering unchartered waters. Last month, carbon dioxide levels in the atmosphere were persistently higher than they ever have been in the whole of human history. Just yesterday, I read that we have just lived through the hottest global January-April period ever recorded. If we keep on this current course for even a few more years, we will be heading irreversibly for a climate that has never experienced by any human being ever, and the experts admit they simply have no idea what such a world will be like. We are on the brink of a global breakdown, so we have no choice but to take action, even in the face of our uncertainty, our vulnerability. But, despite what we might be conditioned to think, that uncertainty and vulnerability does not have to be cause for hopelessness or pessimism. The rest of the presenters built on this altered perspective, this new way of thinking about our place in this precarious world. Field archaeologist Michael Gibbons showed how the fierce series of winter storms that battered the west coast of Ireland last year (storms about which, incidentally, I wrote a song) had torn away parts of coastline – but also revealed a hidden history. They had uncovered “drowned landscapes”, evidence of how ancient post-Ice Age civilisations adapted to rapidly rising sea levels. Here were lessons from our past for our future – lessons about the “adaptability of the human species to dynamic far-reaching change in a world that they often didn’t understand”. Visual artist Dorothy Cross suggested our reluctance to act on climate change might parallel our avoidance of thinking about death. She presented videos of the vanishing practices of shark calling and octopus hunting in New Ireland, Papua New Guinea, practices that illustrated the symbiosis of life and nature and acknowledged “our own perilous nature”. It’s not about climate change. It’s about your relationship with the world around you. I don’t believe there’s any such a thing as an environment separate from ourselves… We are nature. The thing we’re trying to fix is ourselves. In his famous meditation on the “pale blue dot” photograph, Carl Sagan wrote: “There is perhaps no better demonstration of the folly of human conceits than this distant image of our tiny world. To me it underscores our responsibility to deal more kindly with one another and to preserve and cherish… the only home we’ve ever known.” When Sagan wrote that in 1994, that responsibility didn’t seem quite as pressing as we know it is now. No longer just a responsibility, now it is an immediate necessity. Now we need to edit that statement: we need to “deal more kindly with one another to preserve and cherish… the only home we’ve ever known.” In a word – a word recurrent throughout the five conversations – collaboration. Whatever our small-scale differences, when we open ourselves to the greater scale of the pale blue dot, to the overview effect, climate change is one threat that we all have an interest to collaborate against. So here’s where you come in. As Green Party leader Eamon Ryan said in the first session, this is a challenge that needs to be owned by everyone, that needs to engage all sectors of society. Climate Conversations has presented and debated the challenges and the opportunities in the political, economic, agricultural and social spheres. It is not just an environmentalists’ cause any more – it’s a common cause. In some way or other, climate change is going to affect all of us. We all have to get involved. One suggestion from Theresa O’Donoghue of The Environmental Pillar is to join – or set up – local climate gathering to focus on community-level challenges and solutions. A good cross-sector community meeting, she said, might include people involved the GAA, Tidy Towns, the farming community, the ICA and youth groups who are connected to larger networks. The Environmental Pillar provides support, advice and contacts for joining or setting up groups like this (email irishtransition@gmail.com to inquire). Trócaire is hosting a climate conference, Meeting the Challenge of Climate Justice: From Evidence to Action, at Maynooth University on 22 and 23 June. Speakers include Bill McKibben, co-founder of 350.org, our ex-president and current UN Special Envoy on Climate Change, Mary Robinson, and Prof. Van Ypersele, vice-chair of the International Panel on Climate Change. 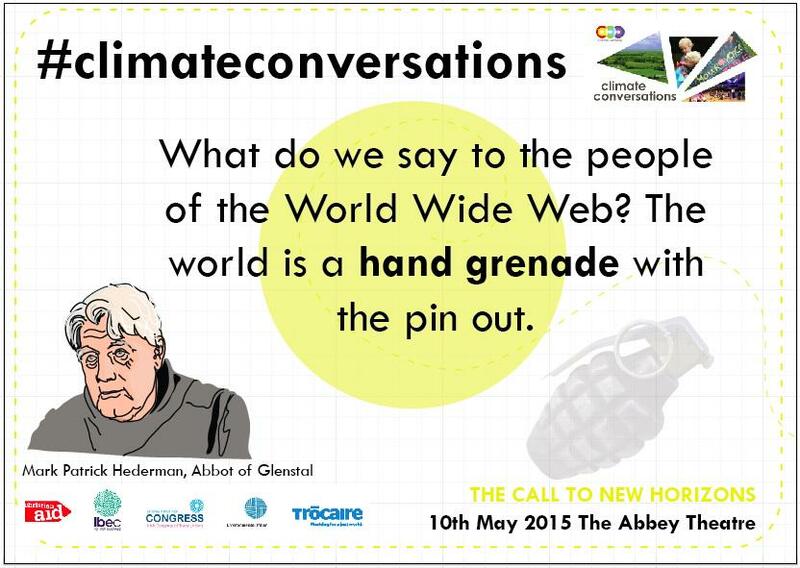 You can book your place at www.climatejustice2015.org. There is a river flowing now very fast… The time for the lone wolf is over. Gather yourselves… We are the ones we’ve been waiting for.